Martyr Zinc Folding Prop Ring Anode for Volvo 2, 3 and 4 blade folding props. Fits folding propeller..
316 / A4 Marine Grade Stainless Steel M10 Stud Assembly. Fully welded and includes nuts & washers. 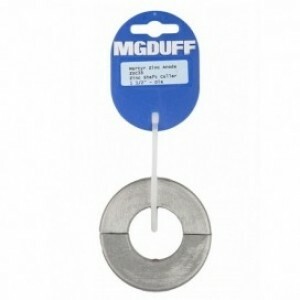 S..
Bolt on anodes are quick and effective way to secure anodes to your vessel without the need for any .. 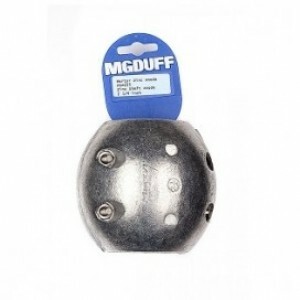 The MGDUFF disc anodes are ideal solution for protecting your rudder, trim tabs and other more refin..
MAX-PROP 70MM DIA (42MM ID)70mm diameterZinc..
Martyr Zinc Anode Kit for Mercury Mercruiser Bravo 2 & 3 engines. Fits 1988 and newer Bravo II drive.. 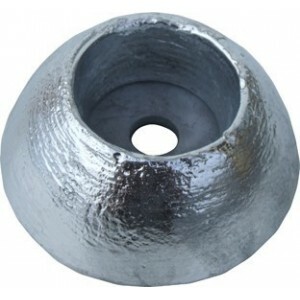 The ZSA range of anodes are well known for their quality and classic golf ball shape. 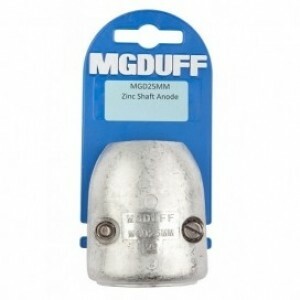 This range of ..
Shaft collar anodes are ideal solution for boats with limited clearance between the propeller and pr.. 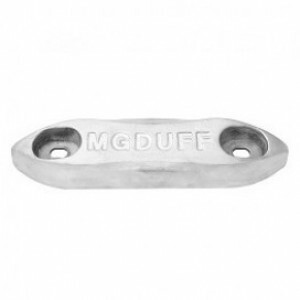 The MGD range of shaft anodes are known for their superior quality and particularly suited for vesse..
MGDuff Zingard Spray 500ml.Creates a passive zinc coating that resists corrosion above and below the..
MGDUFF Zinc Yanmar Saildrive Split Ring Anode - CM19644002660 Weight (kg):0.78kgWidth (max): 102mmNu..